One of the original Western Region examples of Class 37 was D6929, seen here passing through Cardiff station with a freight train. These locos were originally confined to South Wales on the WR, but gradually spread with some examples taking over china clay traffic in Cornwall for example. 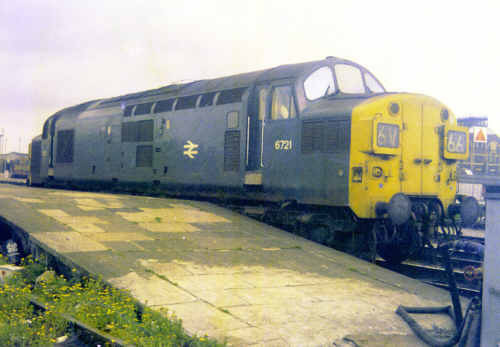 D6721 is seen visiting Severn Tunnel Junction after bringing in a train of Ford cars from its Eastern Region base. Another ER visitor at STJ was D6782. 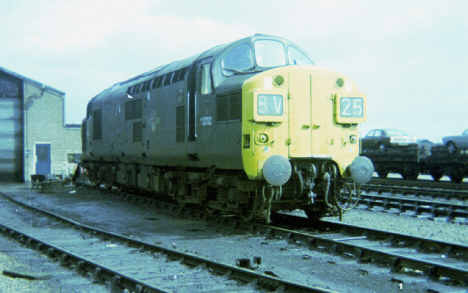 A Western region resident, D6933 on the through road at Cardiff General along side at Class 45 or 46.